How many recipes for pork chops do you have? I have so many easy pork recipes that I’ve lost count. I used to be married to a cattle and pork producer, so we ate a lot of pork chops and other cuts of pork. Also, the ex used to kill and bring home a wild boar sometimes, and that meant even more pork chops. 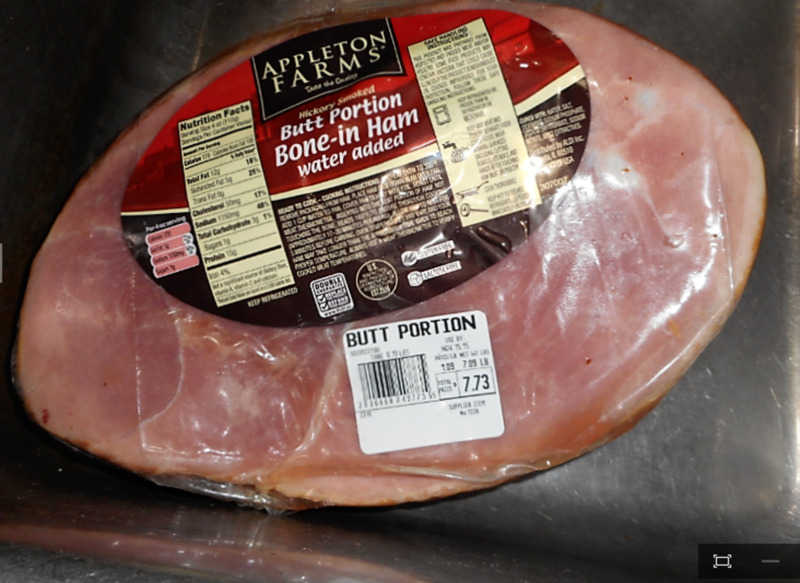 Pork, however, is pretty versatile, so I never complained much. 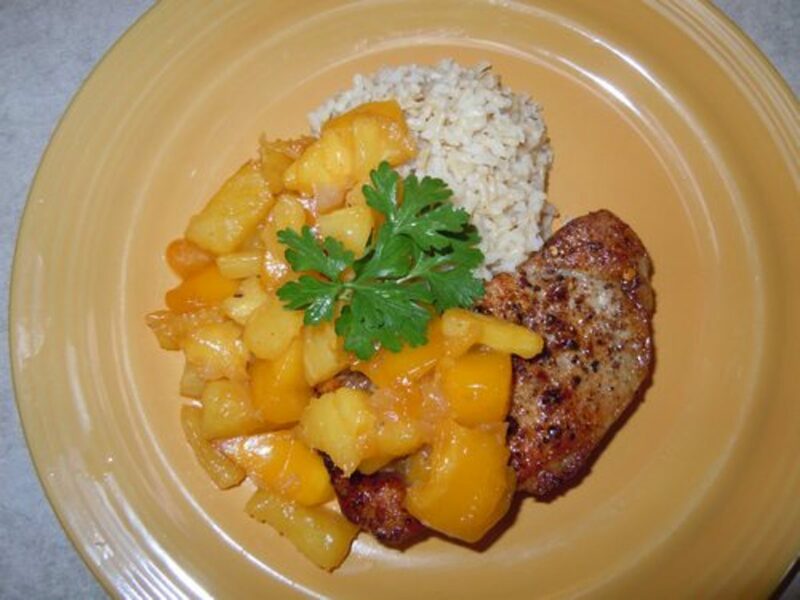 My recipes for pork chops included and still include fried pork chops, baked pork chops, smothered pork chops, Hawaiian pork chops, Cuban pork chops, Mexican pork chops, crock pot pork chops, apple pork chops, pineapple pork chops, jerked pork chops, teriyaki pork chops, pork chops with plum sauce, pan-seared pork chops, stuffed pork chops, and more. 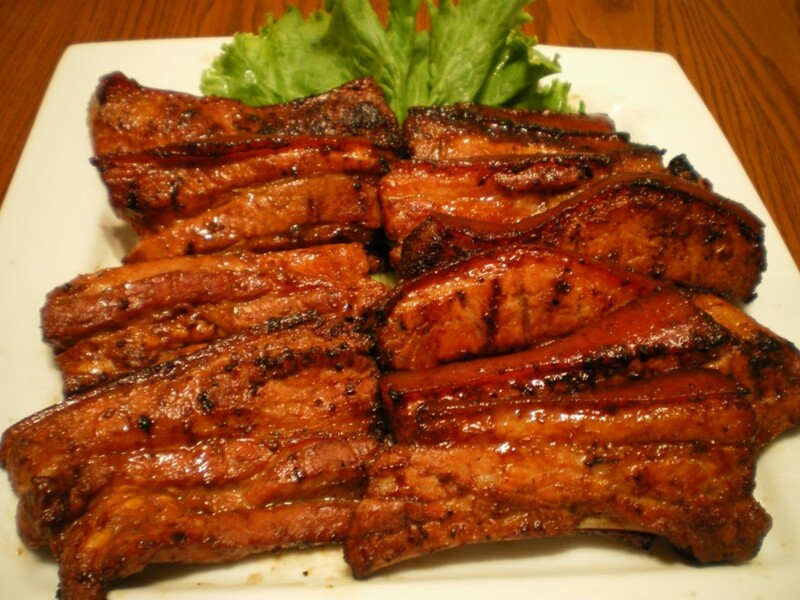 Of course, I also have numerous BBQ pork chop recipes. See? I told you I had a lot of recipes for pork chops! 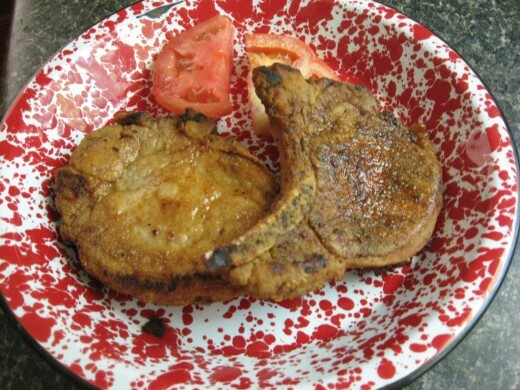 BBQ pork chop recipes include a whole host of recipes for pork chops. 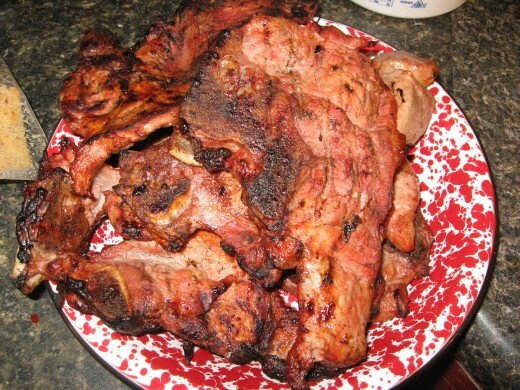 BBQ pork chops recipes can be cooked on a gas grill, on a charcoal grill, or on a smoker. 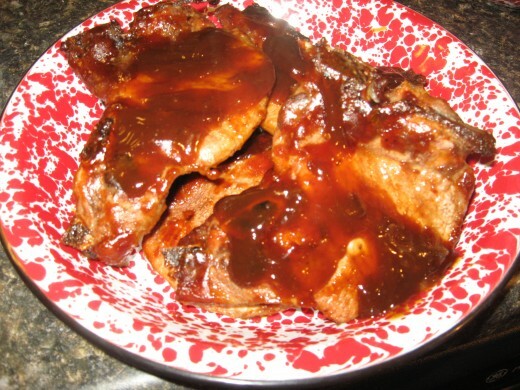 In the South, we often call something “barbecued” just because it’s coated with barbecue sauce, so by that definition, BBQ pork chop recipes can also be cooked in the oven or in a crock pot. Just for the sake of clarity, I’ll limit the term “barbecue” to cooking on a grill or smoker. Still, there are lots of ways to cook pork chops, with lots of different flavors you can include. The chops can be grilled “naked,” or they can include a sauce or glaze. They can be marinated first, or rubbed with seasonings before being placed on the grill. I also like to make a fruit salsa to serve on top of grilled pork chops. Have you ever tried organic pork? I couldn’t resist the urge to bring this up here. It’s so much better than regular pork. 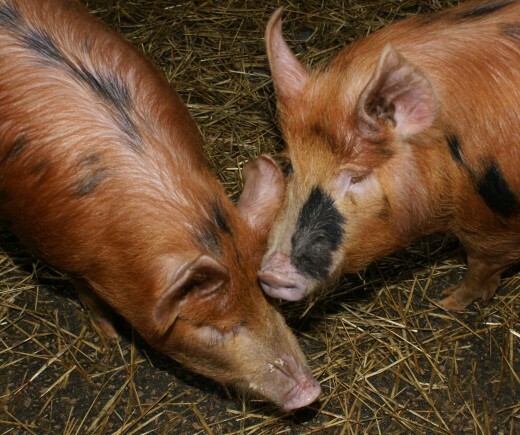 Not only are the animals treated well, the taste of organic pork is noticeably different. It’s also healthier, since the meat doesn’t contain any hormones or antibiotics. Organic pork usually comes from pigs that are “free range.” In other words, the animals are allowed to roam around in pastures instead of living their entire lives on concrete, crammed into small pens. The pigs actually get to act like pigs. They root, they run, and they play with other pigs. And yes, pigs do play. They’re a lot smarter than most people realize. Pigs that produce organic pork aren’t given hormones or fed a constant diet that’s laced with antibiotics. In most cases, the pigs don’t need all the antibiotics because they’re healthier – they’re not living in overcrowded conditions, and they get plenty of fresh air and sunshine. Most organic pork pigs don’t even get artificial supplements. I use dried cranberries in numerous recipes – breads, muffins, cookies, stuffing, candy, and sauces. I also discovered that dried cranberries are good to use in marinades for pork chops, chicken, and turkey. With any type of dried fruit, much of the moisture has been removed, creating a concentration of flavor. As it is with the case of dried herbs versus fresh herbs, dried cranberries have a stronger taste than do fresh cranberries. When you place the dried cranberries in a liquid, especially in an acidic liquid, the inherent flavor of the berries is released. Marinades for pork chops can really add a lot of flavor to the meat. Very lean pork doesn’t always have a lot of natural flavor, and marinades can help out in that respect. It can also help tenderize the flesh and keep it moist while it’s being subjected to the high temperatures of the grill. 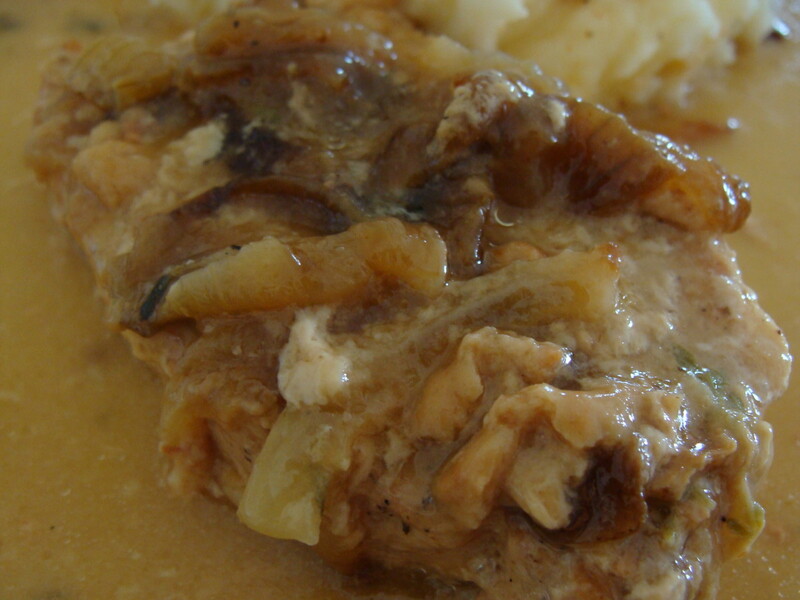 Like other marinades, marinades for pork chops should include acidic ingredients and oil. You can also add your favorite herbs, spices, and other seasonings. A good ratio is to use is two parts acidic liquid to one part oil. I know some of you will disagree with this and say more oil is needed, but I don’t think so. This ratio has served me well over the years. If the meat is extremely lean, you might want to add a little more oil to your marinades for pork chops. Below is the marinade for pork chops that I used for my cranberry-grilled chops. 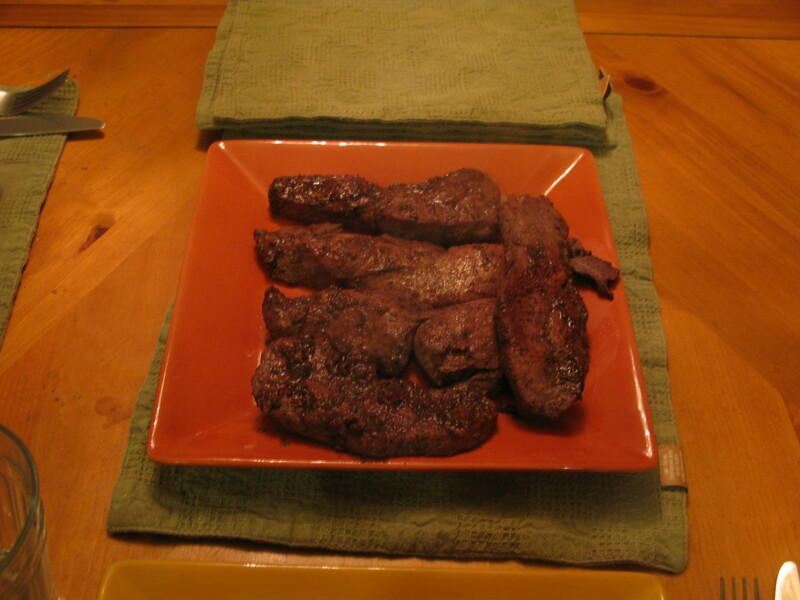 The chops were about ½ inch thick, and I marinated the meat for about three hours. For thicker cuts, you might want to leave them in the marinade for pork chops longer – for four or five hours. Directions: Add all ingredients to a large plastic food bag. Close bag and shake gently to mix. Add pork chops and refrigerate for two to four hours. This is my grilled pork chop recipe that I made yesterday. It’s really tasty, and it’s definitely one of my easy pork recipes. The chops take only a few minutes to prepare, and they cook quickly, too. This is true even if you don’t have time to leave the meat in the marinade for pork chops for the full three hours. Please rate my recipe. Thanks! Rinse pork chops and pat dry. Pour marinade in plastic bag and add chops. 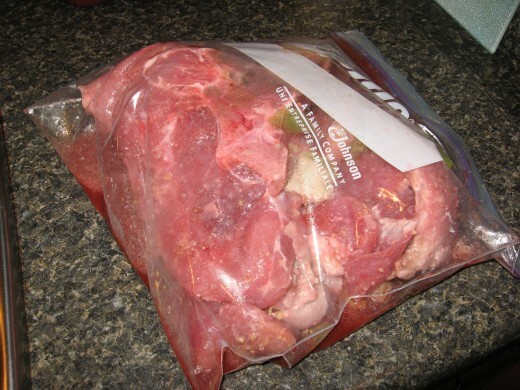 Seal bag and refrigerate for three hours. Before the marinating time is up, start the grill. 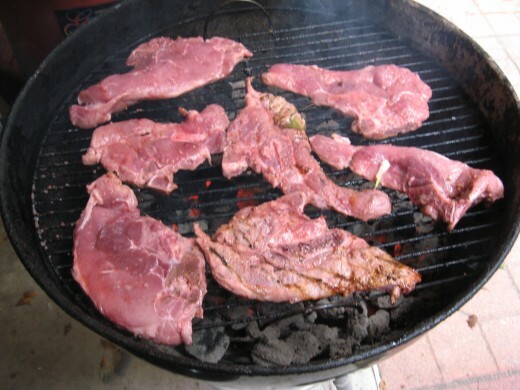 When the coals are at medium heat, remove chops from marinade and allow excess liquid to drip away. Spray grilling grate with cooking spray. Grill chops for ten minutes on each side. Sprinkle with salt and pepper. Recipes for pork chops, including this one, are good served with cranberry sauce, stuffing or potatoes, and a green veggie or tossed salad. What are your favorite recipes for pork chops? Got my mouth watering for some pork Great hub and great job. I love the cranberries. Wow, lots of great ideas here! I love to grill, and pork chops are so good. Thanks for the info! 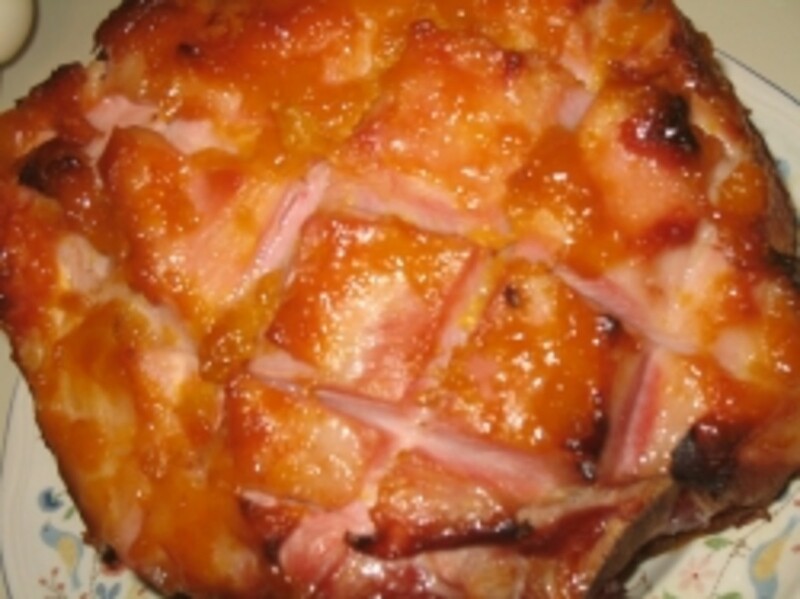 These photos are making me hungry too..
You already know how much I love pork chops, Holle, so I'm saving your recipes. The cranberry marinade not only looks and tastes delicious, but it's good for you. Thanks for putting this all together.